Most intriguing was that, despite their antiquity, none of the objects showed signs of deterioration.Intrigued, Police Captain Hubert Rihm decided to carry out an investigation to untangle the case. However, he was on the track. He managed to find the bank account of the man, which led him to ask in the bank offices where he was informed that he had died 5 years ago, but that his wife was still alive. The agent communicated with her, who informed him that her father-in-law, after whom her husband was named had disappeared in 1876¸ at the age of 29. The case was then closed. 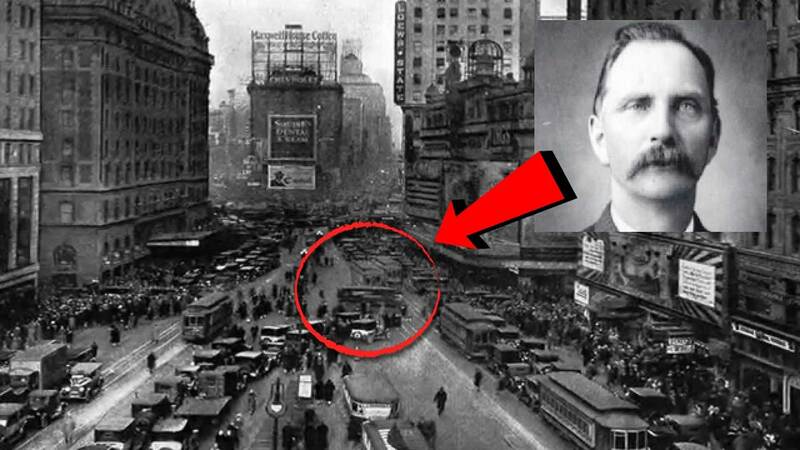 Apparently, a man from 1876 had appeared in New York’s Times Square and, after walking recklessly down the avenue, would have died run over. Could it be a temporary trip? The case of Rudolph Fentz is presented as a common example of temporary (or interdimensional, we are not sure) journeys that happen without the will of the person. At some point it was said that it was a fictional story, based on a story from 1954, but the appearance of this story in a newspaper in 1951 discards it. As far as we know, Fentz was a time traveler .. What do you think? Do you believe in time travel? Why would they give themselves spontaneously? Leave us your comment! What happens to your religion if we find extraterrestrial life?